The Business Intelligence Developer Lead, under the general direction of the Director of Business Intelligence, functions as the lead Full Stack DevOps engineer and technical project manager for the Business Intelligence Department and is responsible for overseeing and developing innovative enterprise data-driven solutions, applications, and interfaces. Candidate is responsible for utilizing best practices to guide all development related efforts, advise and assist in all technical implementations, review technical work completed by internal and external team members, manage multiple operating environments, and serve as the subject-matter expert responsible for developing, maintaining, enhancing, supporting, and troubleshooting all enterprise solutions. The team member, independently and within cross-functional teams, will provide analysis and projections for unique and new opportunities, detect improvement opportunities in existing operations, develop web and native applications and/or services and support analysis, improvement, and creation of management information metrics, dashboards, and applications. The individual will also serve as the technical leader and mentor for all other team members by sharing knowledge and training team members in highly technical concepts and methodologies. 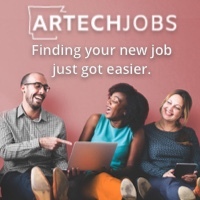 Function as team leader and subject-matter expert in the areas of: application development, interface development, back-end service development, web development, and scripting utilizing multiple programming languages and concepts. Project manage multiple concurrent development projects completed by internal and external developers. Project management duties specifically include, but not limited to: gathering end-user requirements, documentation of technical and operational specifications, building and implementing test plans, operational and technical code review, assisting with end-user functionality testing, implementation, upgrading and troubleshooting. Identify and Advise on failure points in various developed and managed systems as related to performance, stability, security, and best-practice compliance. ETL structured and unstructured data as required by projects, frameworks, and software tools being utilized. Produce innovative solutions driven by exploratory data analysis from complex and high-dimensional datasets. Assist Director of Business Intelligence in working with external vendors and contractors. Education: BS/MS degree in Engineering, Computer Science, Business Information Systems, Health Informatics, Machine Learning / Artificial Intelligence, and/or related field. Preferred, but not Required: 1+ years of experience with TensorFlow, CNTK, MXNet, Torch, or other equivalent Machine Learning software library or framework.